I've been clicking 아니요 6 or 7 times a day on a Hwp2010Update pop up for 18 months now. Avecpommesfrites has just lost any reason to complain that this thread or site has gotten boring. If it weren't for me and my bro stillinkorea we'd still be talking about Trump all day. Thank me later. To be fair, frites, I usually find your posts have a nice level of confrontation or dissension. I agreed when you pointed out that some posts on here were taking the pointless thing a bit too literally. I hope it's not a case of if you can't beat 'em, join 'em. The hwp2010update post was in my own mind incredibly boring but also incredibly funny because it was so boring. Tough one to pull off, a bit too niche. Hey, I'm a big fan of Trump. And with his extreme levels of boorishness and casual racism, I can't believe he's not more popular in Korea. My last period class has been cancelled. I should be making plans for future lessons. Instead, I'm lurking on waygook and dreaming of summer vacation. Will it be too hot to visit a tropical paradise? Should I go for the exotic or tried & true? I don't want to spend a fortune, but don't want to skimp either. I hope these next few months go fast. Oh no! I'm in love with a Taiwanese woman! I don't know if I should be excited about the fact that romantic love doesn't come naturally to me and that I don't have to worry about the troubles associated with it, or to wail bitter tears over the fact that I'm not in the loop anymore. 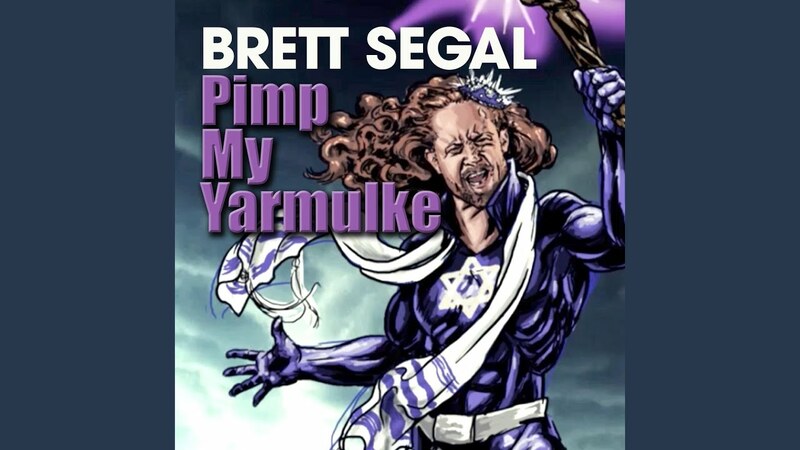 @ Dave Stepz: The ones for the X-rated merch are the best. I enjoyed whiling away the desk warming hours with CO2's shenanigans and adventures in Indonesia and the like. I was hoping the Taiwanese encounter might lead to some more high drama and scuttlebutt. Back to reading every possible article I can about the Leafs, Bruins match-up and lamenting the fact I'll be missing a lot of playoff hockey. At least the sports tavern I visit plays Leafs games due to the owner/manager being a fan. R. Lee Ermey has passed away. Art Bell passed away this weekend, too. 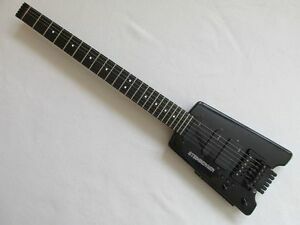 Anyone know much about mini guitars? Asking for a friend. Who's our resident guitarist? Mister Tim?? Depends what you mean and what you want to know. Do you mean guitars where everything is scaled down including the scale length of the strings (ie something suitable for young children to play), or guitars where everything is scaled down except the scale length (ie just the body and hardware), so it still feels like playing a full-sized guitar neck but is more travel-friendly? I was a little worried but saw now that the mum came back. I don't think they'd survive at night in the cold. The cute thing was when the egg hatched the shell dropped on the floor. I picked it up and put it on the handrail. A couple of hours later, some students had put it in a box with 'The egg hatched' written on it. That's so cute I want to punch something. guitars where everything is scaled down except the scale length (ie just the body and hardware), so it still feels like playing a full-sized guitar neck but is more travel-friendly? This. Interested in acoustic only. My friend is a complete beginner so if you know of anything on the inexpensive end for non-musicians... lol. ...but they're certainly portable. They don't have very much projection, so don't expect to be able to use it for group singalongs or anything, but they're fine if you just want something to learn/practice on. They're bigger than the Martins, but still significantly smaller than a standard acoustic. They cost a bit more, but are still sub-$400. Oddly, despite being larger overall than the Martin, it actually has a shorter neck scale length (22.75" vs 24"). Since the body is bigger than the Martin, it will sound bigger and project more, while sacrificing a bit of the Martin's portability. If you(r friend) just want something portable to noodle and learn on, the Martin should be fine. If you think you might ever want to play around/for people in some sort of group situation (campfire, livingroom singalong, whatever), the Baby Taylor would probably be better. There are other companies making guitars similar in size to the Taylor for a bit less money, just look for "travel guitars." One brand that comes to mind is Luna, who makes a number of models in the $150-200 range. They also tend to put doofy art all over everything, but I suppose some people must like it, or they wouldn't be selling. As a bit of a wildcard option, if you just want something portable to learn onm you could look at the brand Traveler Guitars. Making travel-sized guitars with full-length necks is pretty much their only thing. You'd need something to plug it into if you REALLY want to hear it, but you can get interfaces to use with phone apps and computers if need be. Thank you for all the data, Mister Tim! I gotta admit... the Martin Backpacker looks a little too atrocious for my taste, though I'm sure the quality is fine for what it is considering their maker. And some reviews say it sounds a wee bit like a banjo?? This Martin has a fun finish and a normal shaped body. 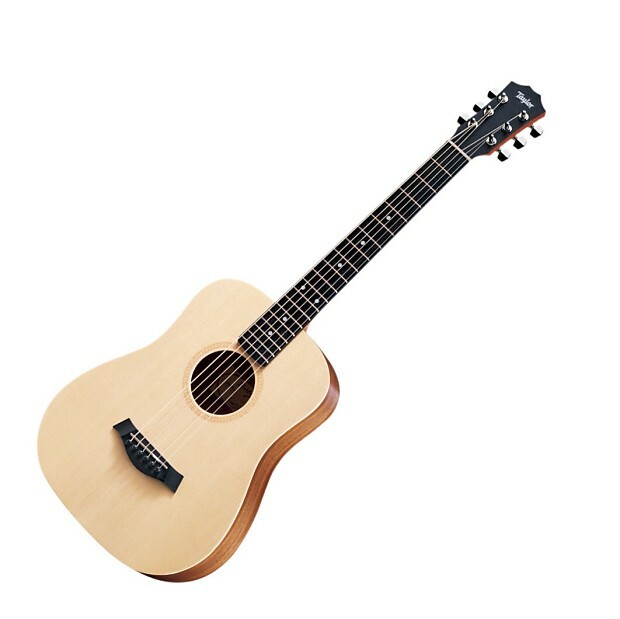 But the Little Martins start edging into the $400 - 500 range and I feel like for that price I may as well just invest in another decent regular sized instrument, hahah. I'll have to check out some baby Taylors if I can find any next time I'm home. I'm thinking Luna or something in a similar price range might be good for my friend. Though, I wonder what can be found in Korea? I only know of one music market in Busan (Bujeon). But maybe online shopping can be an option. Another search term to look for that just occurred to me is "parlor guitar." Back in the day (Pre-WW2, generally speaking), guitars were often something played by women hosting people in their parlors, and were usually much smaller than the guitars that would become popular later. Luckily for your friend (or you? ), parlor guitars have sort of come back into fashion in recent years, so there are plenty of companies making them at a variety of price points. 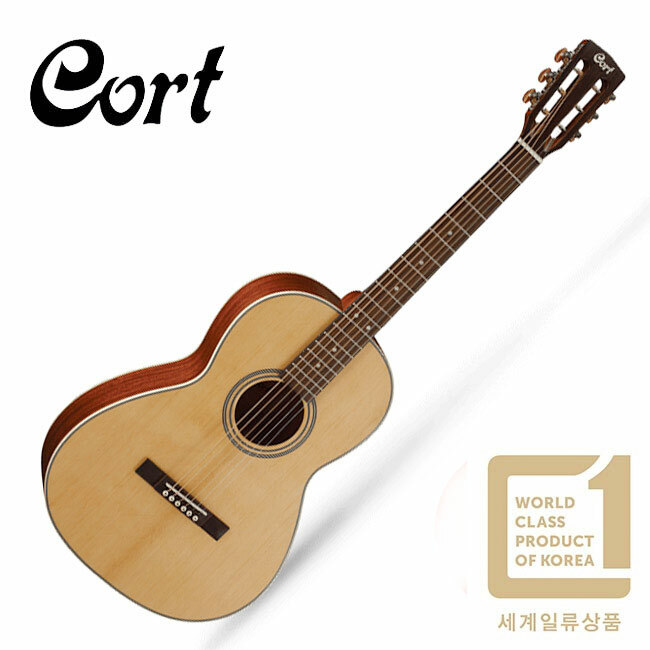 A quick browse of my usual korean gear sites (freebud.co.kr and schoolmusic.co.kr, if you're curious ) shows that you can get them from a number of brands here, including the Korean brand Cort, which has a reputation internationally for making good bang-for-your buck instruments. Both of those are parlor body sized but still have full-length string scales. They'll take up much less room than a "regular" acoustic, and they don't look as dumb as a backpacker. 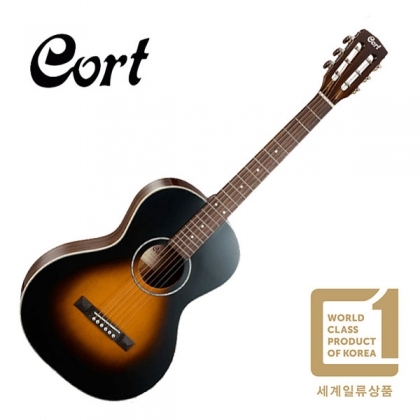 For what it's worth, for quality I trust Cort more than I do Luna, but not as much as Taylor.